ABARTA Media Group, based in Miami, Florida, is the country’s largest franchised publisher of WHERE magazines, the internationally acclaimed travel publications that are placed in hotels throughout the world. ABARTA holds the WHERE franchise rights in the cities of Philadelphia and Kansas City, and in Colorado, Florida, Maryland, North Carolina, South Carolina, Texas, Utah and the Caribbean islands. ABARTA publishes six of 27 U.S. editions of the in-room and concierge-desk. ABARTA Media Group’s parent company, ABARTA, Inc., is a $200 million (revenue) diversified company whose primary business includes Coca-Cola bottling franchises, oil & gas operations and financial services. It also publishes a daily newspaper, The Press of Atlantic City. ABARTA’s WHERE magazines include: WHERE Dallas, WHERE Orlando, WHERE Philadelphia, WHERE Miami, WHERE Charleston and WHERE Baltimore. Morris Visitors Publications LLC is a subsidiary of Morris Communications Company, LLC, a privately held media company based in Augusta, Georgia, with diversified media holdings that include newspapers, magazines, outdoor advertising, books, visitor guides, radio broadcasting and online services.The visitor publications division of Morris Communications includes Best Read Guide; IN new york, the New York City visitors’ magazine, Guest Informant, the hardcover, in-room titles, and three London visitor guides. Morris acquired Guest Informant in 2003. 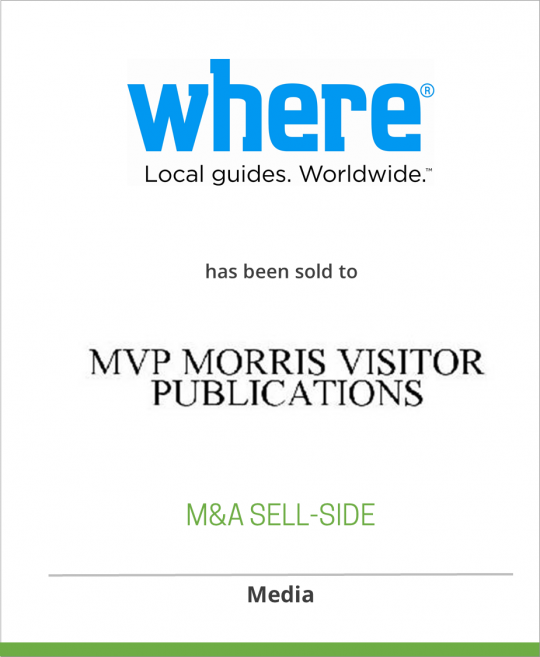 The Woodland Hills, Calif.-based publisher distibutes hardcover visitor books in more than 1,700 hotels in 32 metro markets. The Web site for Morris is www.morris.com.